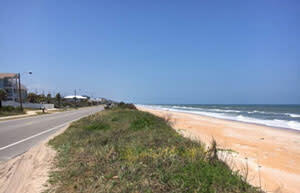 The natural sand dunes that line the gorgeous shores along Highway A1A are more than massive piles of wind-blown sand. Natural dunes play a much larger part in our lives than the average beach-goer might expect, which is why we have to do everything we can to protect them. Our coastal lifestyle depends on the natural dunes for a variety of reasons. They provide the first line of defense against ocean storms for our homes, restaurants and hotels as well as inland and coastal ecosystems. Helping protect our dunes is easier than you think! Make sure you “Dodge the Dunes” by avoiding any walking, parking or driving on any grass or plants on the east side of A1A. Florida State Statute 161.053, Flagler Beach City Ordinance 5.02.04. Only access the beach using the approved stairs and access points. Do not walk, slide, jump or throw items down the dunes. We need your help to continue to restore our shore and we must protect the dunes so they can protect us - do your part to help! It’s the law! Sea turtles and other native wildlife rely on the delicate ecosystem to survive, and they aren’t the only ones! Dunes play an integral role in the protection of our homes, and it is critical that we give them an equal amount of respect and support. Natural dunes provide a sturdy barrier to ocean winds, which protects our businesses, homes and resorts from storm damage. Sheltering our businesses from strong winds avoids costly repairs, and ensures that our economy continues to flourish. Together, we must create a culture of respect for our beaches and those who call it home. 1. Never disturb or harass sea turtles or the nests they leave behind! 2. Remember to take any trash off of the beach when you leave. 3. Fill in any holes and do not leave any beach chairs, umbrellas, or sand toys. 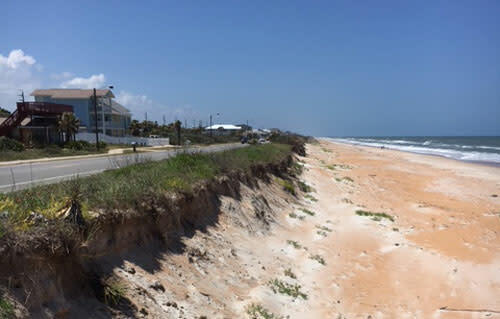 Beach erosion threatens the very resource that residents and visitors enjoy. One way to restore eroded beaches is through beach nourishment. In a typical beach nourishment project, sand is collected from an offshore location by a dredge and is piped onto the beach. A slurry of sand and water exits the pipe on the beach and once the water drains away, only sand is left behind. Bulldozers move this new sand on the beach until the beach matches the design profile. Beach nourishment is a preferred way to add sand to a system which has been starved by the altered inlets because it provides a significant level of storm protection benefits for upland properties and is the least impacting to the coastal system. An additional benefit of beach restoration projects is that they quickly restore shorebird and marine turtle habitat. 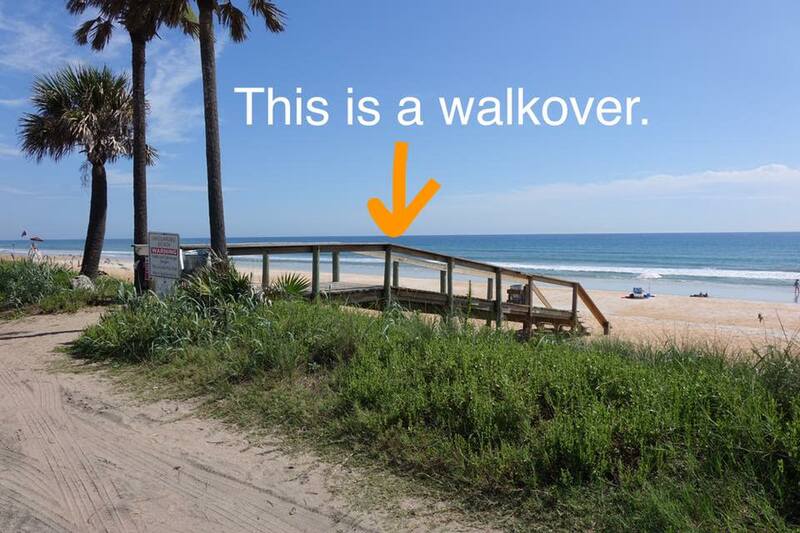 Flagler County will soon undergo an extensive beach restoration project to continue to provide invaluable protection and benefit to our beautiful community. Updates will be posted once the project is underway. Our fragile dune beach grass anchors sand in place and is damaged by foot and vehicle traffic, causing erosion. Without vegetation, dunes would be lost to the effects of wave, rain, and wind erosion. Do not remove or cut any plants east of A1A. Florida State Statute 161.242. Park your car off the dune grass and use the stairs. Did You Know? Dune grass grows by the inch, but dies by the foot and it only takes 10 steps to destroy it!